The one who have played games may found that there are lots of fantastic videos and touching music embedded in game. And most of those videos and audios are in .BIK format which is the defacto video codec for games and is not compatible with most media players and portable media devices. Do we have to go in game to enjoy those unique and favorite music or videos? In fact, it is very easy to enjoy those Bink videos or music on various media players and portable media devices. Just convert BIK to MP3, BIK to AVI, BIK to MP4, BIK to WMV, BIK to MOV, BIK to MPG, BIK to 3GP and more so as to enjoy and Play BIK anywhere and anytime. The following will introduces a step by step guide on how to successfully convert BIK to various formats including MP3, AVI, WMV, WMA, WAV, MP4, H.264, MOV, RM, Xvid, DivX, 3GP, MKV, MPEG, WebM, VP8, ASF, MOD, TOD, VOB, AVCHD, MTS, 3GPP, MPEG-4, M4A, AAC, AC3, OGG and more. 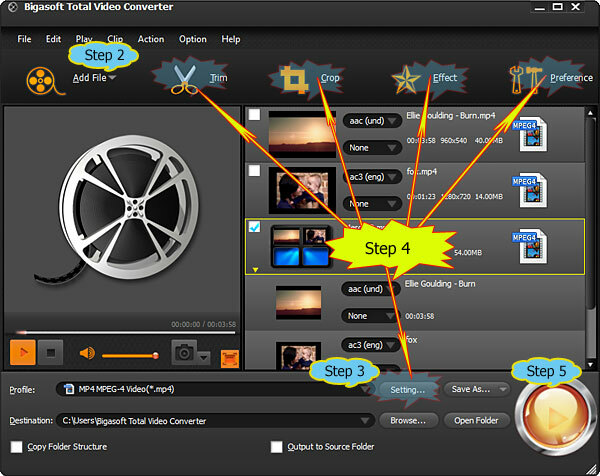 Free download the best BIK Converter - Bigasoft Total Video Converter (Windows Version , Mac Version ) install and run it. 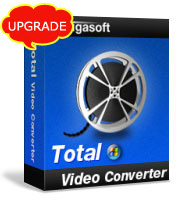 Bigasoft Total Video Converter, the professional BIK Converter, can easily convert BIK to AVI, WMV, MP4, H.264, MOV, RM, Xvid, DivX, 3GP, MKV, MPEG,WebM, VP8, ASF, MOD, TOD, VOB, AVCHD, MTS, 3GPP, FLV, MPEG-4 etc video format. Besides, it even can convert BIK to MP3, WMA, M4A, AAC, AC3, WAV, OGG etc audio format. Moreover, the powerful BIK Converter is equipped with advanced editing function. It enables to adjust audio volume, rotate video, add audio track and subtitle for video, increase artistic effects for video, add image or text watermark for video, split video, merge videos into one, trim and crop video, capture preferable picture from video and more. 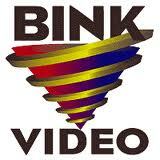 Click on "Add File" button to import Bink video file to this BIK Converter. Click the drop-down button on the right side of the "Profile" button to select wanted video format like AVI, MP4 etc from "General Video" category, or select wanted audio format like MP3, WAV etc from "General Audio" category. Press Preference button to set preferred output video folder, output snapshot folder, image type, after conversion done action, CPU usage etc. Press Setting button to set output video size, video quality, audio quality, adjust audio volume, and choose audio channel and more. Click the "Start" button to finish converting BIK to MP3, AVI, MP4, WMV, MOV or other formats for playing BIK on Microsoft Media Player, QuickTime, VLC, MP4 player, MP3 player, iPad, iPod, iPhone, BlackBerry, Android phones and more. Bink is a proprietary video file format (extension .bik) developed by RAD Game Tools and used primarily in computer games. It has been used in many games for Windows, Mac OS, Xbox 360, Xbox, GameCube, Wii, PlayStation 3, PlayStation 2, Nintendo DS, and Sony PSP. The format includes its own video and audio codecs, supporting resolutions from 320*240 all the way up to high definition video. It is bundled as part of the RAD Video Tools. It is a hybrid block-transform and wavelet codec capable of using 16 different encoding techniques allowing it to compress any type of video. The codec places emphasis on lower decoding requirements over other video codecs with specific optimizations for the different computer game consoles it supports. It is just easy convert BIK to MP3, BIK to AVI, BIK to MP4, BIK to WMV, BIK to MOV, BIK to MPG, BIK to 3GP and more with the best BIK Converter.